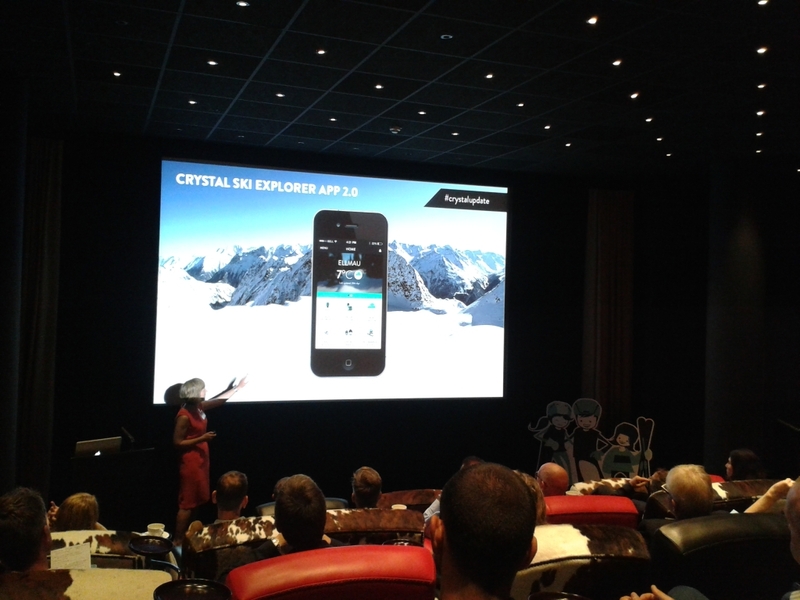 The Crystal Ski Industry Report today was less about the state of the market and more about their own digital innovations. Perhaps it was the right decision not to focus on a market that was estimated to have fallen another 3.6% since 2012/13. 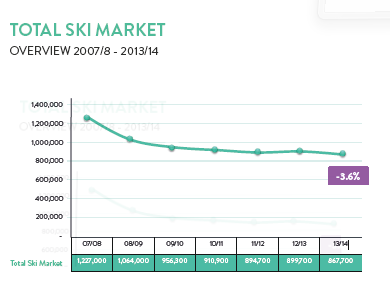 Simon Cross, President of Crystal Ski, commented that the late Easter hadn’t given much of a chance for recovery, but believes that ‘we can get back to where the market was’ (at its peak in 2008), but that ‘it will take a few seasons’. Cross and Tamsin Todd, MD, focussed instead on their multi-million pound ‘Digital Revolution’ that they plan to bring to the market. We were genuinely impressed – their developments show a real commitment to and understanding of digital technology. Ski hire requirements, such as size/ability level etc, can be registered in advance, meaning the correct equipment can be collected on arrival at the hire shop, speeding up the process. Video calling – the bane of every rep’s life? Some of these are great ideas, although it remains to be seen how practicable a video call to clients before they arrive is. If the take-up is good, it could tie up a lot of the staff’s time. Having worked out in the Alps ourselves, we know that resort staff value their free time and handling calls like this is likely to mean less of it. 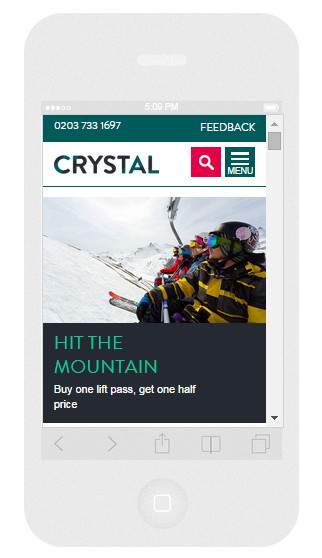 Crystal admitted they have no idea how many guests will take advantage of the service. 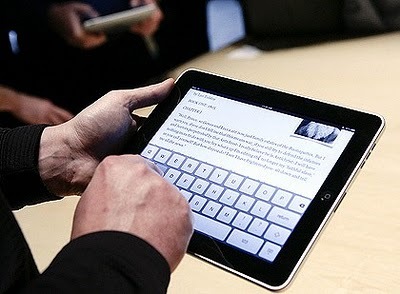 On the other hand, all staff will be able to use their work iPads for watching movies, checking email and browsing the Internet and will help them stay even more connected. Their commitment to digital doesn’t stop at video calls however. 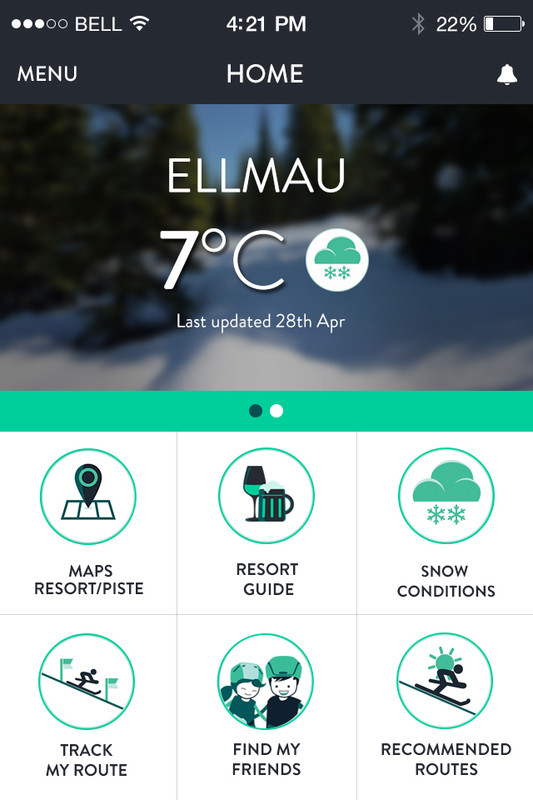 Version 2.0 of their existing ‘Ski Explorer’ app – that guests can download before their trip – has been enhanced significantly. As well as the standard information you’d expect, such as snow conditions, the new version has several pretty special additions. 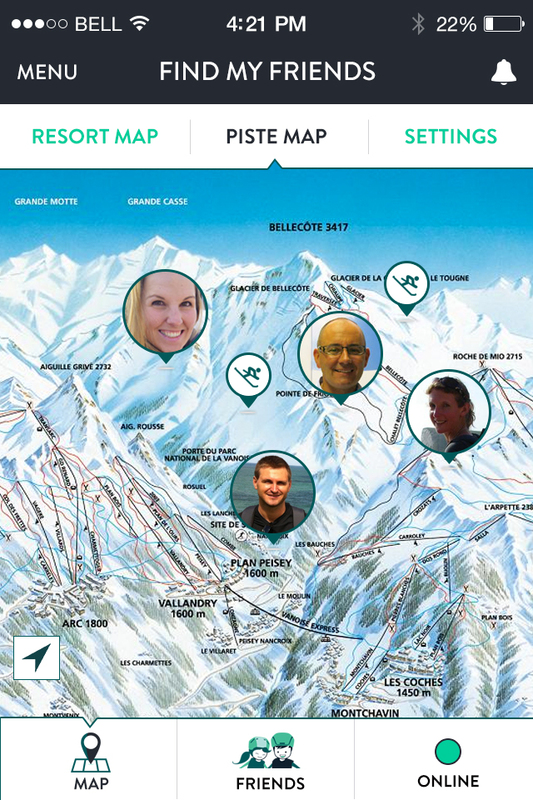 Using GPS, the app will allow you to see where your friends are on the mountain. To use this feature your friends (selected from Facebook) need to have also downloaded the app, as well as giving you permission to track them. This is a great feature for groups, who might use it to decide where is the best place to meet up for lunch, or to help guide back or find a member of the group who is lost. 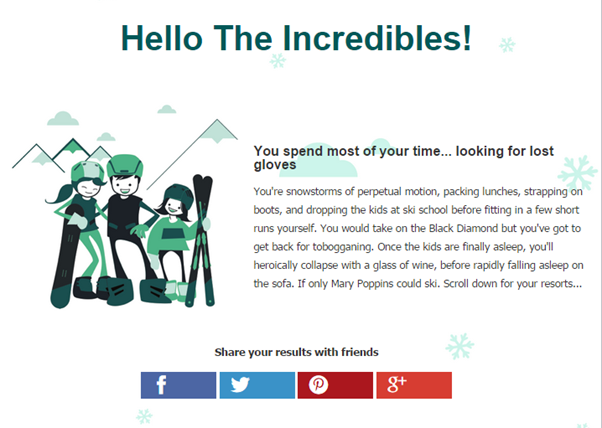 Parents of young teens might find this feature helpful when letting their children ski on their own for the first time. 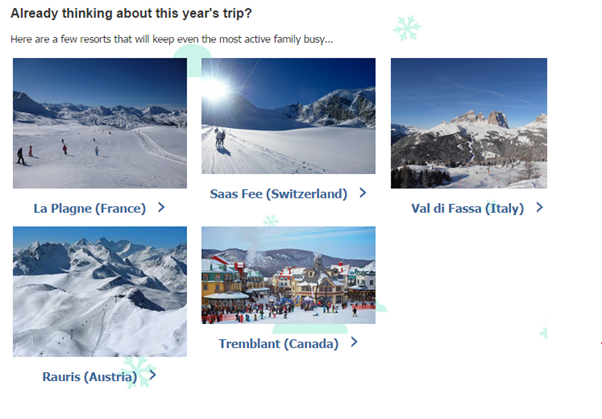 While the kids might not be so keen on the idea of being tracked (or even of being friends of their parents on Facebook), it might be a deal-clincher that allows them to ski off on their own. One very important consideration for users is that this feature of the app does require roaming to be enabled. The cost will typically depend on how much data you use, and if you do not monitor it, there is the potential to rack up a large bill (say, if your phone automatically downloads email as well, while you have roaming enabled). However, there are various packages that make roaming decent value and the costs will fall further as new EU legislation continues to be implemented. In addition to the customer service innovations, we were also very impressed with Crystal’s new Facebook-driven quiz, that went live today. Social sharing is clearly signposted and a quick look around shows that it’s working superbly already. The quiz only went live a few hours ago and there are already plenty of shares on Facebook and Twitter. If you create content marketing that is both funny and informative then you’ve hit the jackpot. The selection covers a number of price points and countries and following the positive sentiment generated by the quiz is likely to lead to a good CTR and possible business. Even if it doesn’t lead to business straightaway, it will have increased the relationship between user and brand and the virality through social shares will bring in even more users. We make no apologies for the credit we are giving Crystal here. At Skipedia we call it as we see it. This is a cracking piece of content marketing and deserves to be recognised as such. A lot of trust in a lot of staff – be interesting to see how this works. Its on a mass scale, something smaller companies have been doing for a while (calls to clients pre departure are standard, as are consultations with chalet chefs) – equipment is pre booked and reserved etc etc….and there is a lot of persona guest contact and recommendations and even bookings! Talking to the guests (the old fashioned rep way!) is still the best way. But this is indeed a technology for the masses. All good tekkers though, I hope it works…..
Good points. re roaming, you do need roaming on for the ‘Find your friends’ feature. And of course the guests do have to download the app. Will be interesting to see how it works in practice. Just to clarify, guests don’t need to download the app to benefit from the enhanced customer service.